In a recent decision South Carolina Bankruptcy Judge John E. Waites upheld a debtor’s claim of exemption in his cash value life insurance under South Carolina Code § 38-63-40(A), which was enacted in 1993. Judge Waites ruled that the statute protects a policy owner’s cash surrender value as long as certain requirements are met. The controversy over the proper interpretation of § 38-63-40(A) stemmed from an opinion earlier this year by South Carolina Bankruptcy Judge David R. Duncan. Judge Duncan addressed the exemption statute in the context of a narrow set of facts in which the debtor claimed the exemption not as an owner of the policy, but as a beneficiary. Judge Duncan ruled that because the owner of the policy may change the beneficiary designation, the beneficiary has no interest in the policy. And because the beneficiary has no interest, there is nothing for a beneficiary to exempt. Put simply, to exempt a property interest, a debtor must first have a property interest. In the case decided by Judge Waites, the bankruptcy trustee argued that the reasoning in the earlier case decided by Judge Duncan would apply even if an owner of the policy, rather than just the beneficiary, claimed the exemption. The insurance must name the insured debtor’s spouse, children, or dependents as beneficiaries. The policy must not be purchased to hinder, delay, or defraud creditors. 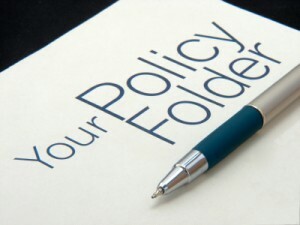 Providing those requirements are met, the policy is exempt without any limit to its value. But What if Those Requirements Are Not Met? What about a case where, for example, an unmarried person with no children or dependents has a whole life policy with cash value? In that case, the debtor would still be able to exempt $4275 under another exemption section, S.C. Code § 15-41-30(A)(9) as well as the potential to exempt any additional cash value under § 15-41-30(A)(7), which is commonly referred to as the “wild card” exemption. While the wisdom of purchasing cash value insurance is beyond the scope of the Charleston Bankruptcy Blog, cash value insurance is now clearly protected in an unlimited amount in South Carolina. And this protection is by no means unique to South Carolina. Several other states such as North Carolina, New York, Michigan, Pennsylvania, Florida, and Illinois €”just to name a few €”afford cash value life insurance this protection. Cash value products are now afforded the same protection as are IRAs or 401(k)s. Cash value life insurance is typically purchased for retirement planning while offering a death benefit to protect beneficiaries.